Cheap Bluetooth speakers are exploding in popularity. From small portable ones to those we can call an investment, you cannot miss out on a Bluetooth speaker designed to cater to your needs. But why not invest in hundreds of dollars to get a Bluetooth speaker? Well, with technological advancements, wireless speakers are anything but cheap quality. The competition has made it so that the best cheap Bluetooth speaker has excellent audio output, is waterproofed, and stylish at the same time. Before you pick one for your next road trip, here are the features to expect on Bluetooth Speakers with a low price range. Where will you be using the Speaker? This the range which the speaker can produce sound measured in Hertz (Hz). Your speaker will have a range from maybe 100-10000Hz. This indicates the smallest and highest sound the speaker will produce. A small speaker cannot possibly create the same sound as a big speaker. But when looking at the size, you will need to consider how portable you want the speaker to be. Many brands will indicate the Bluetooth version of the speakers you are using. First, there was the v.1 version which is pretty much non-existent, and then there is the 2.1 version which is a standard in many Bluetooth enabled devices. This version has an Enhanced Data Rate (EDR) profile which is responsible for quality streaming. Bluetooth 4.0, 4.1, and 4.2 is also in existence. These are smart versions that allow collection of data from smart devices like pacemakers, fitness trackers, digital assistants, etc. You will need one of these versions if you desire to listen to music as well as control other smart devices. The size of the speaker helps you to gauge if it’s going to be portable or not. A small speaker can go in your bag, or you can move it from one room to another without hassling with the weight. If you are not going to be near an outlet to recharge the speaker every hour, then you need to consider the battery life of that particular model. It is more important if you are heading away from civilization, like taking a camping trip into the backcountry. This is an incredibly helpful feature when you are the busy type with a lot of phone calls to answer. It allows you to continue with business schedules whether you are in the office or enjoying an afternoon swimming. Why we like it: It’s a water-resistant model that is surprisingly very loud. 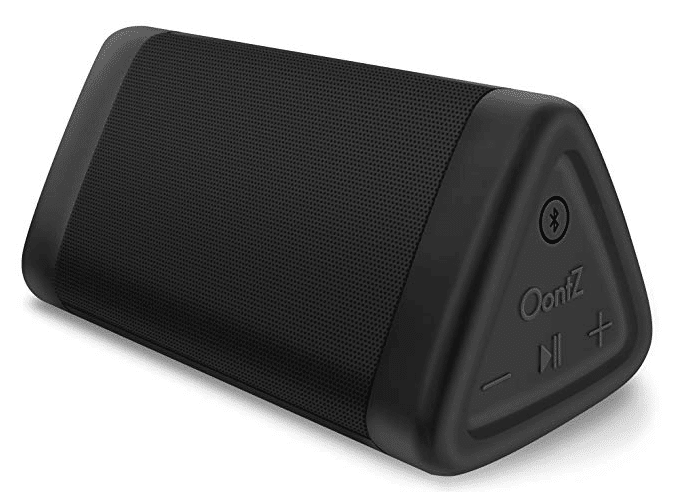 Are you looking for a portable Bluetooth speaker to take to all endeavors? The Cambridge Soundworks Oontz Angle 3 is a unique model that fulfills lots of possibilities. This speaker features crystal clear sound from its precision dual stereo drivers. You will experience distinct highs and mids that will get you excited and dancing to your favorite music. As they say, sound is nothing without its bass. As such, Oontz Angle 3 has invested in a downward facing passive bass radiator for more distortion-free bass at the highest volume. This device will connect over Bluetooth in seconds. You can use it with your iPhone, Mac, iPod, iPad, Android smartphone, laptop, tablet, Chromebook, and it even works with Amazon Echo and Amazon Echo Dot. This speaker is excellent for streaming music and radio services right into your audio device. It is also great speaker to have for small spaces like your kitchen, dorm room, car, parties, and bathroom. With 12hours battery life, this speaker opens up possibilities for taking your speaker to long road trips. It will not disappoint even at the beach or at the poolside thanks to its IPX5 water resistance rating. Cambridge Soundworks has done a decent job to produce a reliable speaker in terms of sound, running time, and quality. The Anker Soundcore portable Bluetooth speaker is one of the most sought speakers under $50. Except for the low price, this speaker delivers astonishing sound thanks to the two high-sensitivity drivers. Each sound is breathtaking with zero distortion. There is a patented bass port which comes to ensure that music is not lost in the background. 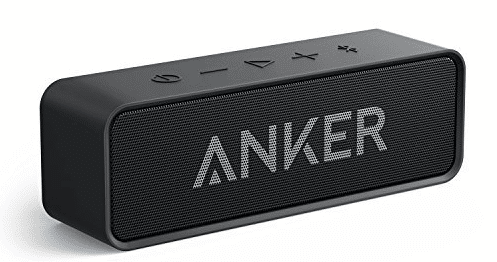 Anker Soundcore uses the Bluetooth 4.0 version. It is an advanced model that enables you to connect to just about any smart device. From Alexa-enabled devices to your iPhone, smartphone, laptop, tablet, etc. With a 66ft range, it guarantees connectivity even in a big house. This model offers instant setup with Bluetooth devices owing to the 4.0 version. This maximizes powering speed and stability to ensure you will not lose connection just because you walked into a different room. You also get worry-free battery life that promises reliability via the Lithium-Ion battery. Anker Soundworks presents us with a highly technical device yet it comes at an affordable price. The sound quality is incredible seeing that it can deliver music with deep lows and rousing highs. For your everyday listening needs, this is the model for you. If you are looking for fingertip control, DOSS is your answer to that convenience. It provides you with capacitive touch control which lets you control the aspects of the speaker using a sensitive touch button. It is unlike other models that require using your phone when you want to customize your listening. We like that this device is compact, but it manages to put out 12watts meaning it will give you a dramatic bass with full sound capabilities. This speaker is your go-to if you want a sleek model with exceptional audio quality while occupying the smallest space in your bag. Like the Anker Soundworks, this model also uses version 4.0 Bluetooth. It can connect with all types of smart devices. This way, you have unlimited options for the devices you can connect to it. The speaker is compatible with all Bluetooth enabled devices plus it is supplied with an audio cable to connect to the TV, subwoofer, etc. This speaker allows you to pause, skip, and play your music with a touch system. You can even pick calls using the touch panel. The dual high-performance speakers provide you with 360-degree sound with less than 1% total harmonic distortion. The Doss Touch allows you to enjoy music on the go. You have a uniquely designed speaker that gives you more value for the money. Why we like it: Great use in the shower and the outdoors. It is popular because of the hanging design. Nowadays, finding a dependable speaker that you can take to the bathroom is stressful. But the VicTsing is dedicated to providing excellent sound that will not get drowned by the sound of the shower. The 5W speaker provides crystal clear stereo sound so you can de-stress with good music. With an IPX4 weatherproofing rating, this speaker is both dust and shockproof. You get to use it in the outdoors without fear that any falls will cause mechanical failure. What’s more, it comes with a metal hook which allows it to hook on your backpack or jeans. With Bluetooth 3.0 version, it allows connecting with any Bluetooth-enabled devices. It can support smartphones, PDA, Mac Air, iPads, Mp3 players, laptops, and PCs. With a built-in mic, you will be able to pick essential calls in the shower so you will not miss an important meeting again. The VicTsing Shower Bluetooth device brings hands-free convenience. It exudes quality with an impressive detachable suction and aluminum alloy hook. It will stay protected against water splashes as long as you don’t immerse it in water. Why we like it: Improved sound performance in a highly portable speaker. The JBL Flip 3 is not your average cheap Bluetooth speaker. First, it has a durable construction featuring a rugged rubber housing and a robust fabric material. This protects your speaker and keeps it in good shape no matter the conditions you subject it to. This speaker can deliver superior sound. It streams wirelessly, and it can connect up to three smartphones or tablets to the speaker. It can take turns playing music from the three devices to give you room-filling sound. The JBL Flip 3 uses v.4.1 Bluetooth technology. It can pair with smart devices giving you the convenience of compatibility with any device. It has a range of 33ft which is not much to go by considering other speakers with fewer features can attain double range. 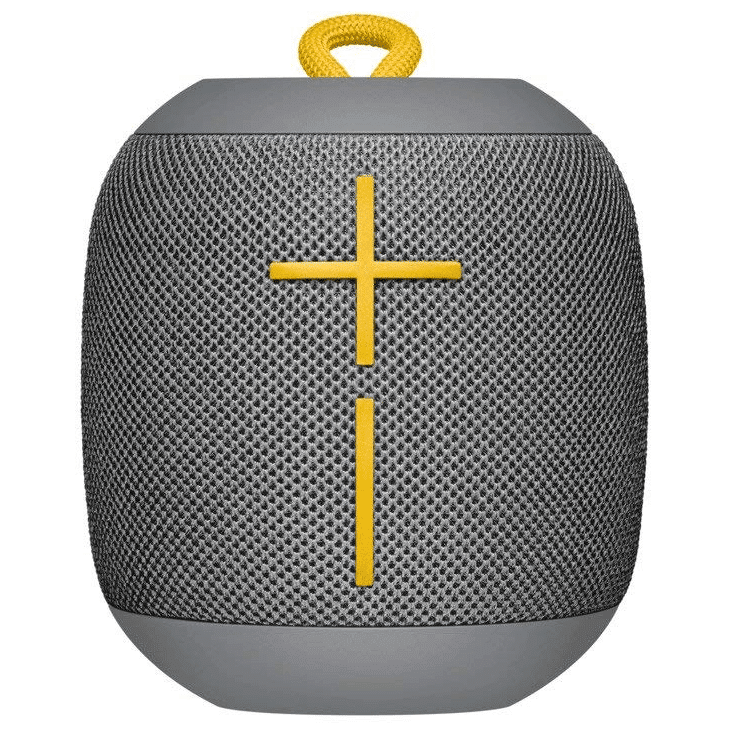 This speaker is available in seven colors. It can match with your other devices when you need one color to create a theme in a room. It can be laid vertically or horizontally as it comes in a curved design. You will also appreciate the echo-canceling speakerphone for clear sound when receiving phone calls. JBL Flip 3 performs with excellence for a speaker its size. It is excellent for small spaces especially when you want to amplify sound by connecting JBL speakers with the help of the JBL app. Why we like it: It is an entirely waterproof speaker that can face out every external element. The AOMAIS GO Bluetooth Speaker is an impressive model that creates sound that can fill any room. With 30W stereo sound, the internal speakers can produce rich sound with a booming bass sound. Everyone in your party crew will be shaking their head to the music especially if you are partying at the beach or having fun on a yacht. This speaker comes in a rugged design with an IPX7 waterproofing rating. It can actually be submerged in water to 33ft. It’s not an ordinary speaker seeing that you can take it to the pool and beach parties, and you won’t risk damage if it falls in the water. AOMAIS GO uses v4.1 Bluetooth. It goes without saying; the kind of compatibility you can expect from this device. You can pair it with Amazon’s Echo Dot and get seamless control of all your smart devices. It saves you from ever using wires to connect to essential devices. The TWS function is a perfect addition to this speaker. It allows you to maximize your listening experience by pairing two speakers to get a whopping 60W output. With the 8800mAh battery, this speaker will give you 30 hours of continuous music. 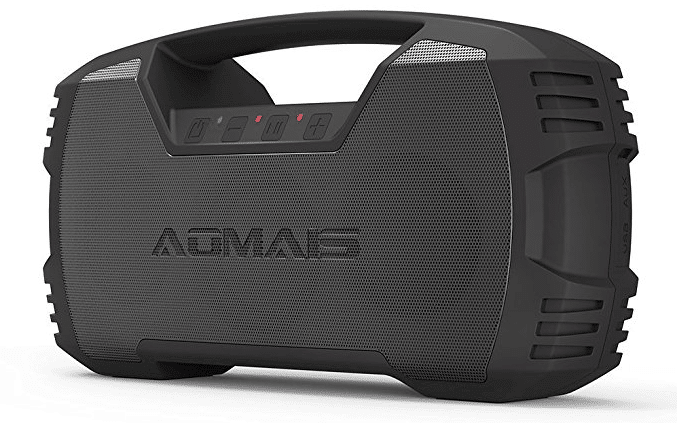 AOMAIS GO is a thoughtful speaker that takes Bluetooth speaker technology to the edge. It has a powerful sound, long play time, and endless compatibility. Why we like it: It takes versatility to a whole new level with the capability of pairing with up to eight devices. Go anywhere with the Ultimate Ears UE Roll 2. This speaker explores flexibility and convenience so that you can enjoy music from anywhere. It is IPX7 rated for waterproofing which makes it good company when at the beach, open waters, or swimming pool. You can submerge it in water that is under 1 meter, and it will still perform with absolute excellence. This speaker gives bold sound with the help of the stereo sound driver and two tweeters. It has a frequency range from 108Hz-20kHz. With a wireless capability of eight devices and two source devices, this speaker provides you with seamless connectivity or uninterrupted listening. When you buy two of these speakers, you will be able to connect one source and play music from the two speakers at the same time. This speaker has a range of 100ft. It is not your usual Bluetooth speaker since you don’t have to have the audio source in the same room as the speaker. It comes with a USB rechargeable battery that gives you nine hours of play time. 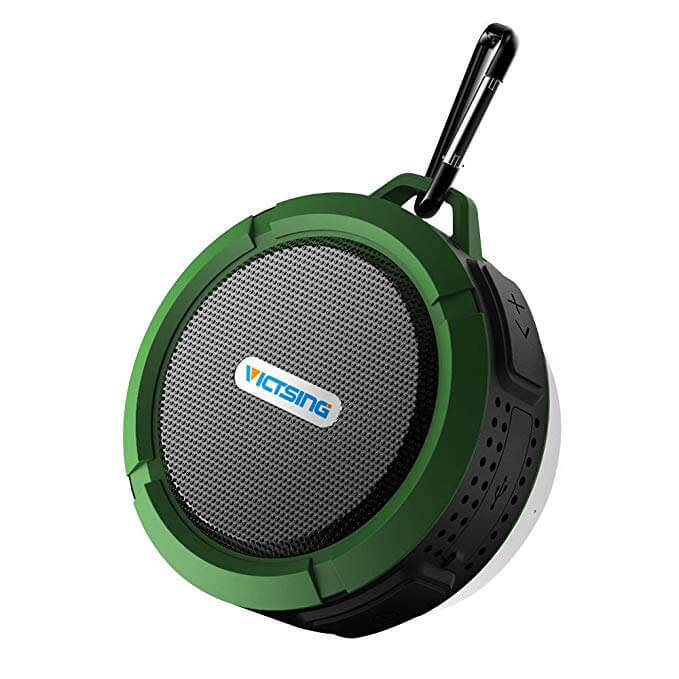 You have no excuse not to take this speaker during hiking trips or kayaking expeditions. We like what the Ultimate Ears UE Roll 2 brings to the table. It extends the range to offer the possibilities of numerous pairing devices alongside capability to stream to three UE Roll 2’s. It is a lightweight device that you don’t have to worry about it dragging you when biking or running the trails. The Ultimate Ears WONDERBOOM is an upgraded version of the UE Roll 2 featuring better bass and sound. This comes at the expense of additional weight as the drivers have to be bigger to produce resonating sound. It is the kind of speaker you pick when you want to entertain friends in a dorm room and still have the convenience of taking it to the car or any other place where big speakers would be a no-no. This speaker can attain insanely high volume such that it’s possible for you to shout over the volume. The controls are found on the face and on top of the device to make it easier for you to skip tracks, pause, and pair with other devices. You don’t have to use these controls since your smartphone can do the controlling from the comfort of up to 100ft away from the speaker. It manages to produce 360-degree sound projection thanks to the two active drives and the two passive radiators. This gets you high music volume that is uncommon with speakers in this price range. You get to connect two WONDERBOOMS when you want to pump up the volume during a party. Not to mention, it can float on water, and it has been tested to withstand falls from 1.7meters (5ft) high. This is incredible durability for a speaker that you won’t be digging too deep into your pockets to own. We have not seen speakers perform better than the UE WONDERBOOM when we compare prices. The sound is crystal clear, the bass is rich and deep, it has a durable construction, and it can be attached to something via the loop. What else could you be looking for in a cheap Bluetooth Speaker? Straps to bike, backpack, etc. 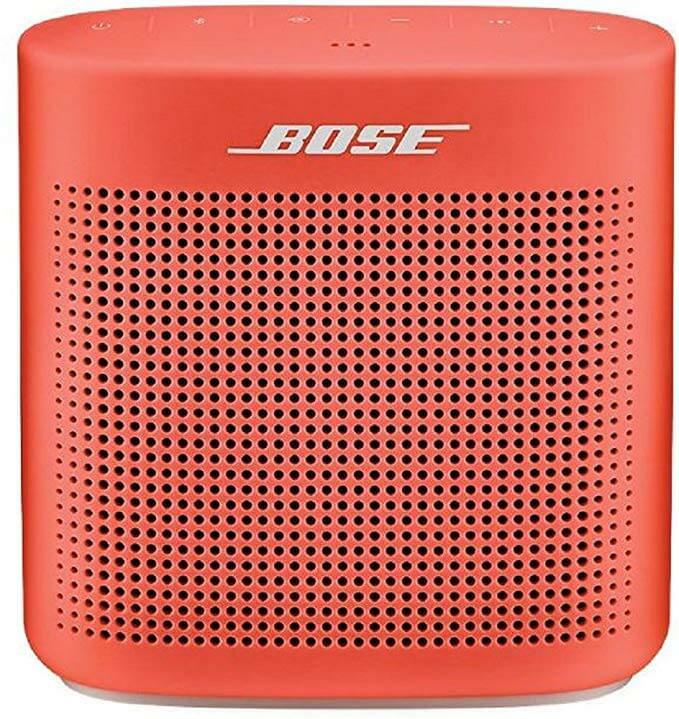 This speaker presents the least expensive of Bose quality speakers. This model delivers a rich sound which is surprising considering the small size of the speaker. It has a solid build with a water-resistant body making it a good companion for pool parties. It can withstand splashes but not full immersion. It is super easy to control this speaker thanks to the voice-controlled instructions. For Bluetooth pairing, volume controls, and pause/play, the controls are on top of the device. This speaker can remember eight of the most frequently used devices for automatic pairing. It can also stream from two devices at the same time such that you can alternate between the two or wait for automatic playing when you turn off one of the paired devices. Apart from the exceptional sound and bass, the speaker has an intelligible speakerphone mic that allows clear sound when speaking to someone on a call. It has near-zero distortion at high volumes making it a high-quality model. With the digital signal processing, it controls the deep sound so that it does not distort. We like that it presents full and rich basses plus the highs are well-balanced. 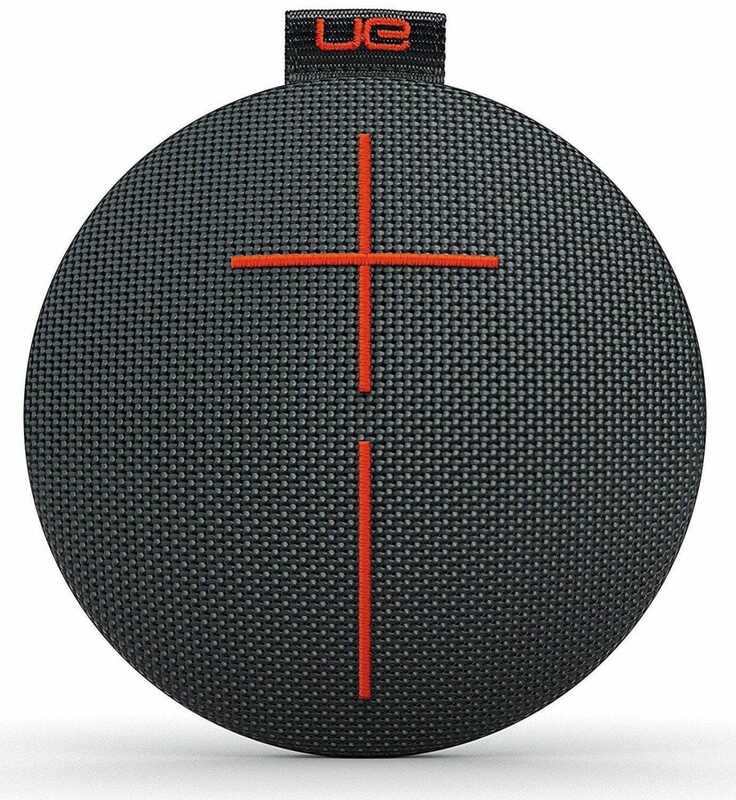 We like the construction of this speaker as it is a rounded design that fits in your hands or backpack. It is also a lightweight unit which can keep up with an active lifestyle. The Bluetooth pairing is faultless, and it has a port for updating the software. Why we like it: It is a fully waterproof speaker with long battery life. This speaker builds on versatility to bring you an all-around product. It does not only give you loud music, but you can also use it as an emergency power bank for all your USB-powered devices. It has 20hours battery life thus you don’t have to cut the party short owing to a low battery. This model is all you need for a whole night of blasting music. The JBL Charge 3 has speakerphone capabilities. It allows you to take crystal clear phone calls with the touch of a button. The speakerphone explores noise and echo-canceling technology to ensure the person on the other end of the line does not keep repeating their message. 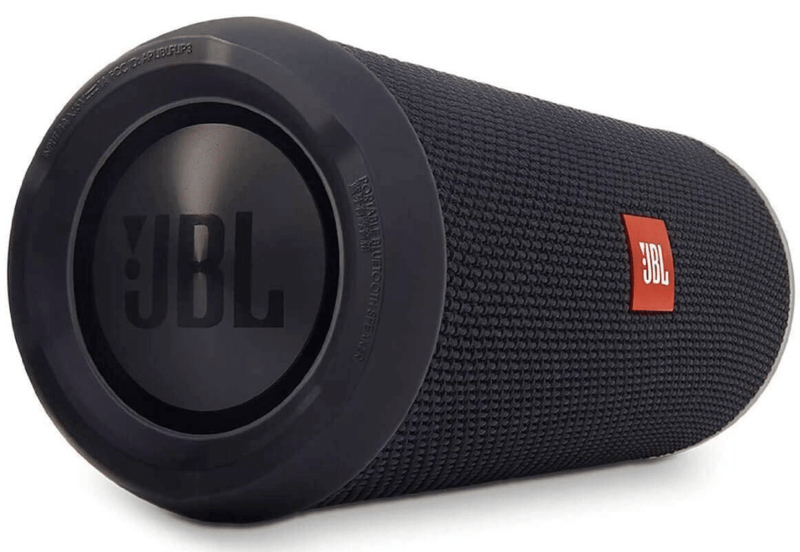 You will love this speaker more because it can connect multiple JBL speakers to give you louder music and deeper bass. The durability of this speaker is impressive. It has an IPX7 waterproof rating so it can withstand being immersed in water. The rugged rubber housing ensures it can take a beating to outlast all your adventures. Whether you are keeping the party indoors or hitting the trails, it is a good candidate for extreme sports. JBL charge 3 is perhaps the most powerful speaker when it comes to stereo sound. You can take the party everywhere seeing that the battery life is reliable and it also serves as an emergency power bank. And since you can use JBL-connect for multiple JBL connections, an amplified listening experience is at your fingertips. Why we like it: Amazing music in all directions with deep bass and excellent audio quality. 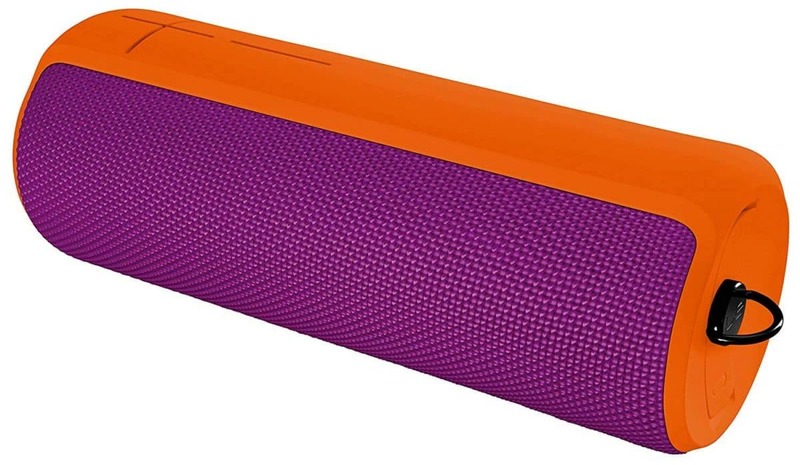 The Ultimate Ears Boom 2 is a compact, durable speaker that sounds much better than the original UE Boom. It comes with some essential design upgrades which include waterproofing to IPX7. This is a speaker made for adventures as it can be wet, muddy, beat up or covered in snow, and it will still be loud and powerful. It doesn’t matter where the love for fun takes you, this speaker lets you play your favorite tunes. It can take a dip of up to 1 meter for half an hour without giving you the pains of needing repair. If you tend to take it slow with Bluetooth speakers, you have no reason to hold back with the Ultimate Ears Boom 2. “Just say it to play it” is what the UE BOOM 2 is all about. The speaker can connect with Echo Dot and Alexa for voice prompts without using any wires. This model allows you to play music from Pandora, Spotify, Amazon Music, iHeart Radio, and TuneIn. What’s more, you can connect up to 150 Boom 2’s for a blast of music when out partying. Now your friends and their friends can bring along their speakers to whichever location you desire to have the ultimate partying experience. This speaker comes with some intuitive features. You just have to tap on the speaker to play or pause the music. It gives you 15 hours’ battery life, and the connectivity is up to 150hours. It has a support app which comes in handy when you want to handle updates and unlock more features like create a musical alarm or customize the five-band Equalizer. Ultimate Ears Boom 2 is a powerful model. Its toughness is over the roof while the connectivity is straightforward with all compatible devices. The support app brings more convenience allowing you to have the best time of your life. Why we like it: Offers a ton of innovative features in a small, portable device. You can’t miss the distinct style of the Bose SoundLink speakers. This particular model is an advancement of the SoundLink Color with more appealing features. You will notice that the speaker II is tailored at a higher price than its predecessor. One of the attractions of this speaker is the bold sound which represents a unit crafted for the indoors. It has a water-resistance rating of IPX4. This means it can withstand a few splashes here and there, so you need to be careful not to accidentally drop it in water. This speaker manages to keep its features dependable such that you won’t be making many compromises. The soft-touch silicone exterior provides comfortable holding when you want to walk and listen to music. You will also like that the built-in mic produces clear sound. It can connect to digital assistants like Siri and Echo Dot giving you the convenience of control. Do you ever wonder if you can pair two phones with one speaker? Bose makes this possible by allowing connection to two Bluetooth-enabled devices. It will also reconnect automatically with any of eight devices that the speaker has recently paired with. The Bose SoundLink II is a real winner when it comes to sound, quality, and overall performance. It adopts some features that are rare in speakers of its size. The excellent bass extension, lush mids, and highs are some of the properties you will admire on this speaker. Bluetooth speakers offer the convenience of taking them anywhere. You can grab them for a pool party, beach party, kayaking expedition, when you want to watch a movie at the campsite or even in a music studio. With many considerations to make it can be overwhelming picking just one model especially now that the market is flooded with them. These advantages span across all price ranges. The beauty of Bluetooth is that it does not need any wires to connect to an audio device. It can be your smartphone or tablet, but anywhere you want to play music you can do it with these devices. The small compact design of these speakers mean that they are relatively portable. These units cannot just play music, but some of them act as power banks for emergency situations. You can continue using your phone especially if you are partying away from civilization. Although you may not notice it with other sound electronics, Bluetooth speakers are known to be the most energy efficient. They can store their power for long hours, and they will consume even less when recharging. These speakers are designed to be portable. As such, you will find yourself taking the speaker on every imaginable outdoor adventure. But does the model you choose, keep up with the extremities? Some speakers can only withstand a few splashes while others are submersible for up to an hour. You will need to consider how weatherproofed the speaker is before you undertake a long road trip to a ski resort. Here’s a look at the UE Roll 2 in water. Some will say Bluetooth is Bluetooth. But the differences in the versions brings you more convenience. If for example, you want the support of digital assistants, not just any speaker will support that possibility. It is thus vital that you check the compatibility of the speaker with the devices you intend to connect it with. A Bluetooth Speaker’s exterior is more than the aesthetics it brings. The form actually affects the sound quality. Drivers on one end of the speaker have lesser stereo than drivers set on different sides of the speaker. As such, you will find that long speakers are louder than small round speakers. Having auxiliary audio inputs allows connecting devices like the TV or audio gear that is not Bluetooth enabled. They provide you with possibilities of amplifying the sound even further by connecting the speaker to a subwoofer or an amplifier. Bluetooth speakers are affected by how far they are from the audio source. Some can only support a signal as far as 33ft while others are good for up to 100ft. If you plan to use the Bluetooth speaker outdoors when entertaining friends, you should look for a model that is capable of handling disruptions and greater distances. Some speakers can do well in the indoors, but their sound is absorbed when you use them outside. The JBL Charge 3 is an example of a powerful Bluetooth speaker for both indoor and outdoor use. When you want to get more from your Bluetooth speaker, it is good to look for features like voice control, multiple speaker pairing, access to online music, and hands-free speakerphone functionality. These are somewhat luxurious features in a cheap Bluetooth Speaker. But why not enjoy the full capability of your model. 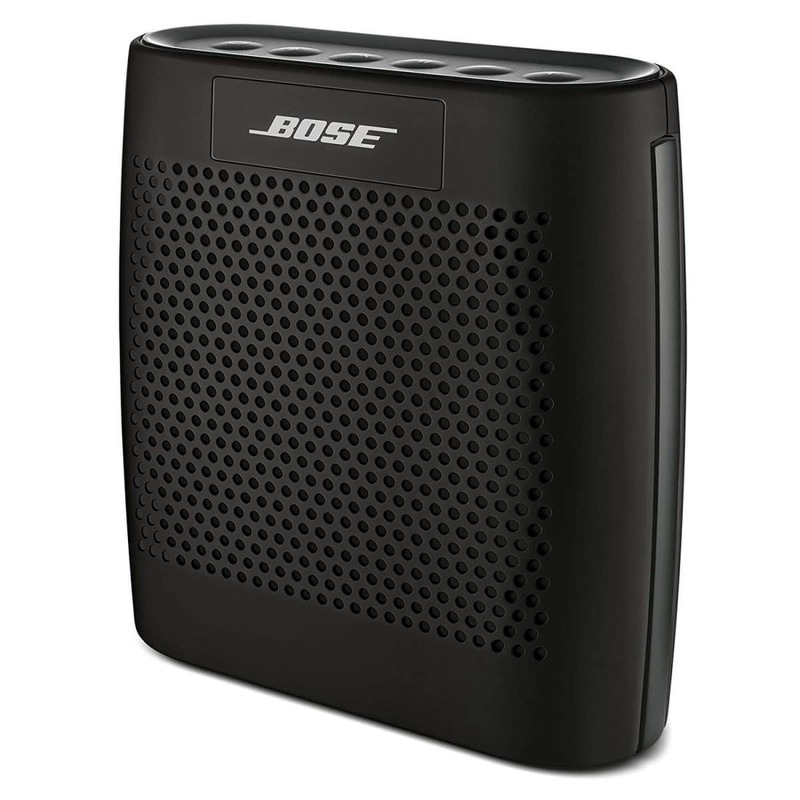 To connect your Bose Soundlink Color to multiple devices, see here. 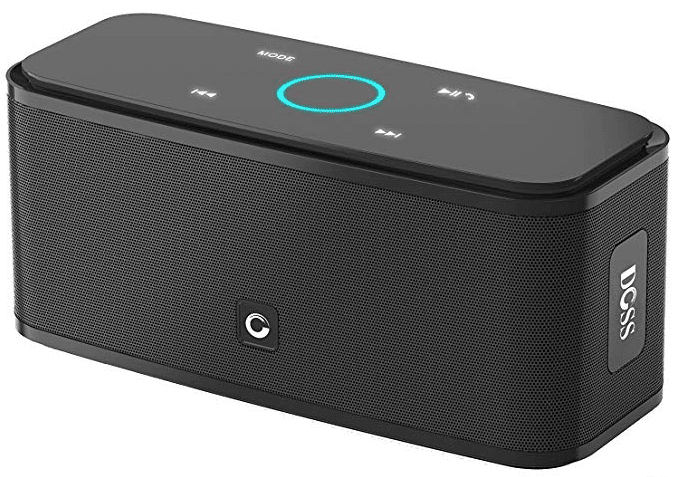 With a Bluetooth speaker, it becomes easy to have your favorite tunes wherever you are. The speakers on this list offer the best sound quality at a budget price. They are keen to give you satisfactory performance while providing you with features that you need even if you are not digging too deep into your pockets. Here, you will find waterproof speakers, multipurpose models, speakers built for the outdoors, and models that are highly portable. It is your chance to get the ultimate performance. Invest in one of these brands for a truly memorable experience.